Francis Paniego is himself a guarantee of excellent cuisine. 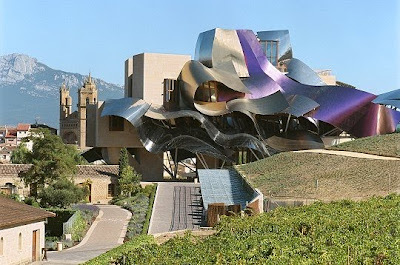 His experience at mythical restaurant Echaurren, in Ezcaray, has prepared him for this new challenge: to orchestrate and conduct the kitchen at Marqués de Riscal Starwood Hotel, in Elciego. 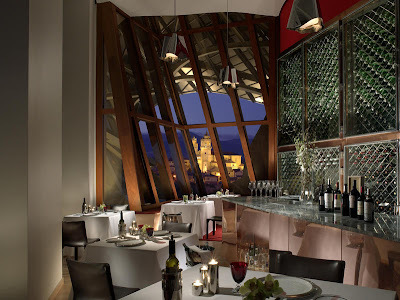 You can opt for the "nouvelle cuisine" experience at the elegant "Restaurante Marqués de Riscal", at the top of the building, or at the "Bistró 1860" which has a slighty more casual atmosphere. 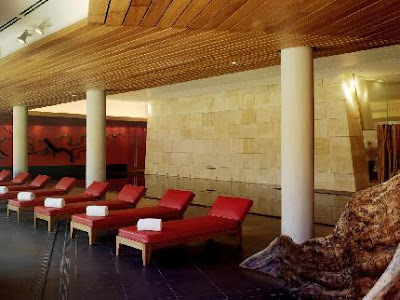 And then, how about relaxing at Spa Caudalie? Sounds like a plan, doesn't it?